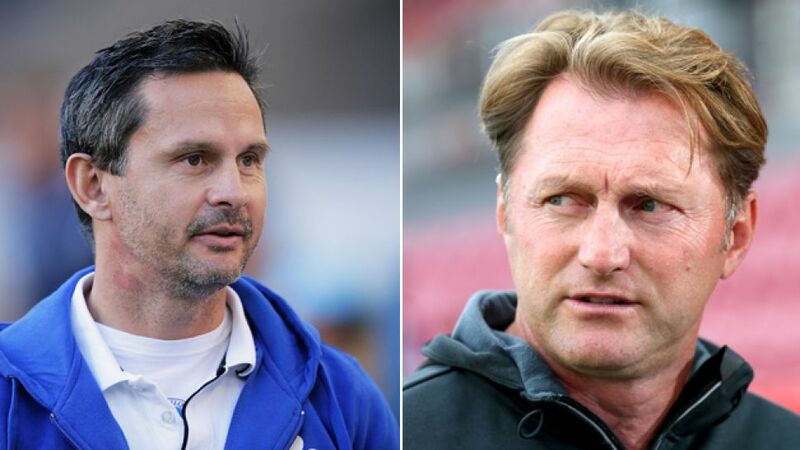 Ingolstadt coach Ralf Hasenhüttl (l.) and Darmstadt countepart Dirk Schuster go head-to-head in Sunday's Matchday 13 encounter. Ahead of Sunday's Matchday 13 encounter between the newly-promoted sides, the two men who will pit their wits against each other from the Audi Sportpark dug-outs spoke to bundesliga.com. bundesliga.com: Ingolstadt have 16 points, the third-best team away from home, the second-best defence. Darmstadt have also started the season well. Are you surprised? Ralph Hasenhüttl: I'd hoped we'd upset the odds and start taking points from the off. Sixteen points at this stage is very good, and it’s even more important to know that, with the exception of the Borussia Dortmund game, we've been totally competitive. Dirk Schuster: I’m very happy. . I've been a little surprised that we were able to mix it with the big teams and take points away from Dortmund, Leverkusen and Schalke. We didn’t match these teams in terms of our play, but we made their lives difficult with our organisation, battling and strength of character. bundesliga.com: Did you look at the fixture list and calculate how many points you might have after 12 games? Hasenhüttl: No, I don’t work like that. It’s not important to have enough points after 12 but rather after 34 Matchdays. Then we’ll have played each opponent twice and we'll know whether or not we have left three teams behind us. Schuster: No, that wouldn’t have given me anything and would perhaps have been thrown out of the window after two or three games. We always only think about our next game. bundesliga.com: What are the reasons your teams have taken to life so quickly in the Bundesliga? Schuster: We’re a real team. The players that we brought with us from the lower divisions have acclimatised very quickly, even if in the first two or three games we made some mistakes as our decision-making was still at Bundesliga 2 level. A factor in their development is that the players could follow the lead of the new signings, who we brought in from the Bundesliga. The players could see what they were doing in training and so could very quickly adopt the Bundesliga’s decision-making, tempo, tackling, robustness and quick changes in phases of play. Hasenhüttl: We’re not hiding. Instead we're trying to impose the successful style of our promotion season. We've also reinforced well and we have even more quality in the squad. bundesliga.com: Is there a player in your team whose progress has surprised you? Schuster: We want to be a team, and sometimes one player is better, other times it’s another. Take Aytac Sulu, for example. He came to us three years ago with one foot in the fourth division and now he's a really good Bundesliga central defender. Hasenhüttl: A lot of players have really improved. I can perhaps pick out Markus Suttner, who, after having some difficulties at the start, has made enormous progress. bundesliga.com: What kind of game are you expecting when your two sides meet? Schuster: A very intense, hard-fought game that will be decided by small nuances. I don’t think either team will change their style for this game. We won’t, in any case. Hasenhüttl: I expect a real, high-quality battle. It’ll be the small details that decide it.